After an auto accident - or any other accident that requires the help of law enforcement officers - a police report is typically created. As a person involved in the accident, you have the right to get a copy of this report. At the first available opportunity after the accident, it is wise to contact the law enforcement agency to request the report, as it is not sent to you automatically. When the law enforcement officers responded to the accident, they identified themselves by area. For example, the officers may have stated that they were from a specific precinct of the city where the accident happened. Find the contact information for this law enforcement agency on the Internet, and then contact them to make your report request. At the time you make the report request, they will inform you of any associated fees. Generally, there will be a nominal fee that is meant to cover the cost of the copy. Many law enforcement agencies release reports only in person, so you may need to visit the police station to get the report. Some police stations will mail you the report, but this may require extra processing time. 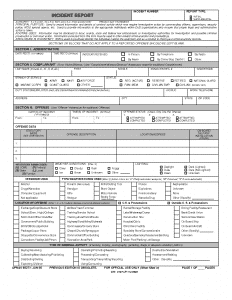 Why is a Police Report Helpful in Personal Injury Cases? Police reports are typically not considered to be admissible evidence for civil court cases, but that does not mean that they can't be useful in other ways. A police report can be a very powerful tool during negotiations, and it can generate enough leverage to swing the case strongly in your favor in some cases. As the unofficial settlement discussions start, your personal injury attorney can use the statements on the accident report to create a clear case for you. A preliminary evaluation of fault. This preliminary fault evaluation will include notes about whether either of the people involved had legal violations like speeding or Driving Under the Influence (DUI.) It will also include the responding police officer's personal observations about whether one driver appears to be clearly at fault for the accident. If one of the people involved in the accident admits causing the accident, the police officer will record this on the police report as well. 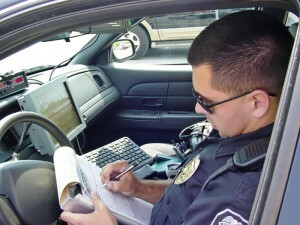 Police reports also contain valuable information about accident witnesses. Any people who were at or around the scene of the accident may have valuable information about the accident, and the reasons that it occurred. The police will typically include the name and at least one type of contact information for any accident witnesses who are listed on the accident report. The support of witnesses can be extremely valuable in establishing a personal injury case. Consulting with a personal injury lawyer is important if you want to make the best use of the police report from the accident. An experienced lawyer will be able to leverage both the information in the report and the information that you give them to build a strong case for you. Personal injury cases that are settled with the help of an attorney are almost always worth more than cases that are handled via self-representation. 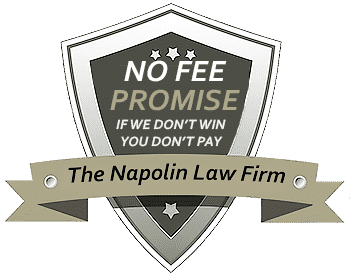 At Napolin Law Firm, our attorneys are well versed in all aspects of police reports. A police report can be an invaluable tool in a winning case when it's used correctly. Give us a call at 1-909-325-6032 or contact us by email at [email protected] to learn more.